This quote was among a few others found at the Big Buddha Temple in Hatyai where the majestic 19.9m Standing Buddha overlooks the city from the Hatyai Municipal Park high above a hill. Today I am older! Oh gosh, I am getting OLDER!! My goodness, I am OLD!!! Has anyone realized that time flies at an ever-accelerating rate as we get older? One of the hypothesis found argues that the way we perceive time changes depends on whether we are focused on the 'NOW', the past or the future and whether we have a positive or negative view of our past and future. I am inclined to agree that being focused on the 'NOW' in our most positive light would see time passing at a quicker pace as it is an indication that we are enjoying our life at the fullest. One of the best example to attest this is when we are on a vacation. I think all, if not most of you would agree with this observation right? 1. My faith and my God! 2. My family that loves and lasts forever! 3. My blog that's my outlet for healing and abundance! 4. People who touches my life every day! 6. Just being ME ME ME!!! After all the madness of rushing along the Taihape Road to Turangi and several minor changes to our campsite choices ... we were ahead of plans by a full day. As we headed down to Te Kuiti where we will be putting up a night, we began to wind down our pace to a leisurely drive and took time to enjoy the landscapes along the way. The subsequent attraction we were looking forward to was the Waitomo Caves where we will be going on caves exploration and watch glow worms dance but short of black water rafting. A random act of kindness is a selfless act carried out to either assist or cheer-up an individual or even at times animals. There will generally be no other reasons apart from making people smile or happy. Irrespective whether it is spontaneous or planned ahead, random acts of kindness are very easy to practice. What we need is an open heart and a helpful approach. 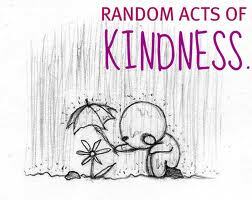 Random acts of kindness can be monetary like cash gifting or otherwise with no money involved. 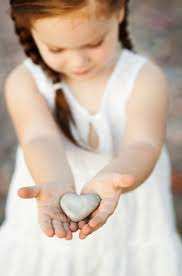 Open gestures or anonymously, it could be as simple as sending a silent blessing to a stranger or leaving a note of encouragement for someone or extending a helping hand to cross a busy street or blood donation or just offering a compliment, a smile, a listening ear and so on. Practising a random act of kindness is an expression of abundance. It dissolves our thoughts and feelings of lack. Kindness comes from generosity and love. Extending kindness shows our awareness of the abundant generosity and love in our possession that we want to share with others, whether people we know or complete strangers. Committing an act of kindness to benefit others without expecting or accepting anything in return feels good. Likewise, it feels good too when someone does the same to us. It’s gratitude in motion. 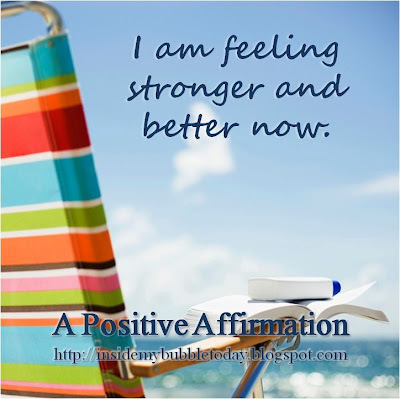 These ‘feel good’ feelings transform our negative energy, lifting our spirits high and positively. The Universe recognises the positive energy and delivers the same in return to us. Opportunities to do a random act of kindness are available at any time, everyday and everywhere. Most of the time we just do not realize how many and how often they are happening right in front of us. We need to slow down a little, ponder for awhile and recount a single act of kindness we’ve done or done to us today. They may be small and unnoticeable until we really give it our attention. In the scriptures of Luke 6:38, the Lord had said, “Give, and it will be given to you. A good measure, pressed down, shaken together and running over, will be poured into your lap. For with the measure you use, it will be measured to you." 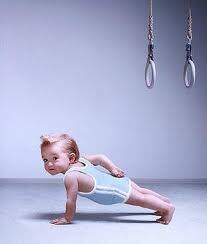 It does not matter how much we can do but just do whatever we can. When we practice random acts of kindness, people in turn become inspired by our actions. One of the amazing figures of acts of kindness is Oprah Winfrey, the richest and greatest African-American philanthropist who does not seem to stop giving till today. If this spirit of giving and helping spreads to every level of the human race, the world will definitely be a changed place. My Bubble: The Trout Fishing Capital Of The World! Turangi is located on the southern end of Lake Taupo and is the ideal base for excursion into the Tongariro National Park and a short drive away from skiing on the slopes of Mount Ruapehu. After camping a night at the Parklands Motorlodge, we headed out first thing in the morning to the Tongariro National Trout Centre which is about 5km from town. It is built on the banks of the Tongariro River and is internationally famous as the Trout Fishing Capital of the World. It is an awesome place to take a leisurely river walk along the famous Tongariro River and if there is more time at hand, to continue with jungle trekking into the Tongariro National Park. There are nice exhibits, informational displays and a video presentation at their museum on the history of trout fishery in New Zealand as well as a fascinating aquarium and hatchery next door. Fish feeds are available at NZ$2 per pack to feed the trout at the ponds outside. They have a viewing chamber outside and kid's fishing pond where families can enjoy a picnic. We took a nice slow walk exploring the river bank trail, watching two guys out for fly fishing along the river. Although lo kong would have loved to try his hand at fly fishing, it was neither the time nor the right temperature for him to get his hands dirty. He just had to contend with watching from afar with envy. We continued on the trail that led us further and further away from the river bank and into a dense trail. After awhile, we could not hear the river anymore but we could hear the cars from the highway. We knew we were somehow very near the main road but unfortunately we could not find an exit out of the trail that was getting more and more compact. Hearts thumping fast, we we decided to back-track to the river bank. Thankfully, we made back it to the trout centre in one piece and we were soon on the road to our next attraction, the Waitomo Caves which is 166km away and about 2.5 hours drive. You’ve got your action plan. The law of attraction requires you to move into action NOW! It is time to just do it and keep going at it no matter what. You will come face to face with various difficult moments that rear their ugly heads, aimed to dissuade you from continuing with your pursuits towards what you want in life. If believing in the law of attraction inspires you to have a better life, to set some of your goals and reach for your treasured dreams, then your belief system is going to be your strongest ally. Always keep your mind firmly focused on your final desired outcome and keep your motivation high by constantly revisiting your law of attraction action plan. Do this and you will have come full circle. 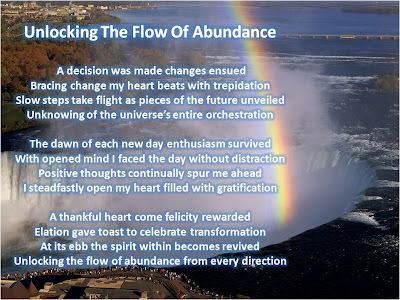 This is my poem in appreciation of all the changes that I am experiencing in my life after taking a life-changing decision to live deliberately by my own rules, time and space. As I delight in the good that has continually touched me, I am grateful for the priceless lessons from the unexpected turns of events. May your Diwali be a celebration of beautiful colors and sparkling lights! My journey in Aotearoa continues! Immediately after lo kong's half-marathon in Havelock North, we headed out to nearby Hastings for lunch. Too bad we couldn't trek up the popular Te Mata Peak or otherwise called the Sleeping Giant nearby where we can have a 360° view of Hawke’s Bay. A nice leisurely round trip would have taken around 2 hours. Instead after lunch, we did a quick walkabout around the city of Hastings. It felt like a small town wrapped around a railway track and was very quiet even on a Saturday afternoon. Soon we were on our way on the serpentine road that connects Hastings to Taihape. Recalculating the driving distance of our original plan to head further south to Wellington, it seemed to be a tad too rush to enjoy our driving adventure. So we have decided to take up Kenrick's suggestion and take a scenic drive along this quiet route that threads through the valleys and headwalls of the mighty Ruahine Range. We were not disappointed at all with all the treasured views from green to snow-capped mountain, vast valleys, awesome waterfalls and narrow bridges. Lo kong drove on and on, carefully maneuvering the sharp corners as well as the uphill and downhill asphalt leading to the town of Taihape, a much anticipated destination on these quiet but not really that lonely road. We couldn't slow down, much less to stop for any photo shots as that would have begged for honking from the other cars or lorries tailing behind us ... it was quiet embarrassing that we were even honked for slow driving. What was supposed to be a 2.5 hours drive ended almost 4 hours snailing up and down the road when we came a crossroad. There we made a quick change of plan and headed northboud to Waiouru instead of southwards toward Taihape. Heading to Waiouru was a shorter route getting to the next 'must see' attraction on our list, the Waitomo Caves. However, we found out a bit too late that there were no campersites in Waiouru. After our dinner at an Italian diner, we continue our way to Turangi, the trout fishing capital of the world where we put up the night. Lo kong was completely exhausted by then. A husband and wife are traveling by car from Atlanta to New York. After almost twenty-four hours on the road, they decide to stop at a nice hotel and take a room. They only plan to sleep for four hours and then get back on the road. When they check out four hours later, the desk clerk hands them a bill for $350. The man explodes and demands to know why the charge is so high. He tells the clerk although it's a nice hotel, the rooms certainly aren't worth $350. When the clerk explains that $350 is the standard rate, the man insists on speaking to the manager. The manager enters the conversation and explains that the hotel has an Olympic-sized pool and a huge conference center which were available for the husband and wife to use. He also explains that they could have taken in one of the shows which the hotel is famous for. "The best entertainers from New York, Hollywood and Las Vegas perform here," explains the manager. The manager is unmoved. Eventually the man gives up and agrees to pay. He writes a check and hands it to the manager. "But sir," the managers says, "this check is only made out for $100." "That's right," replies the man. "I charged you $250 for sleeping with my wife." "What! I didn't sleep with your wife!" exclaims the manager. By now, I am pretty sure everyone has noticed the new layout of my blog. Spanking new and complete awesomeness right? I'd like to think so! 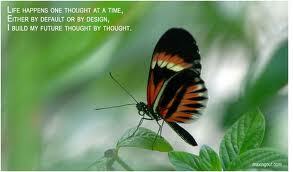 The law of attraction needs a clean and clear space to create the right climate for it to work. With this in mind, I have started on my annual de-cluttering of my blog a little earlier than usual. In recent days, there has been a tremendous increase in activities as well as numerous developments in my blogging, micro blogging and social networks that all my expressions of gratitude just cannot completely address my exhilaration and excitement. 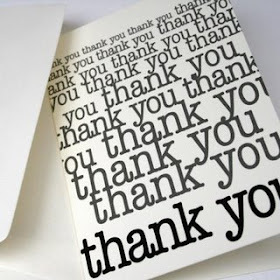 To all my loyal readers and net-friends who have continued to support me ... MY WARM & SINCERE THANKS TO YOU ALL!!! With a fresh layout coupled with renewed flow of energies, I trust I will be attracting greater things into my life to enhance my deliberate living with spiritual growth, health, wealth and prosperity! I hope to receive you continued support, encouragement and participation for a long long time to come. Let's grow together in this journey we call "LIFE!" I choose and I am living deliberately by my own design as I continue to attract endless abundance into my life! I had been given several assignments to write this week and there were three to pen on certain health afflictions that require prolonged and repetitive treatments with vaccines. That was when this quote by John Henry Jowett suddenly dawn on me. Ever since I discovered the law of attraction, I have also discovered this equally powerful contributor that has expanded the joys in my life. Gratitude is indeed an antidote to relieve us of our dissatisfactions and protests towards life. 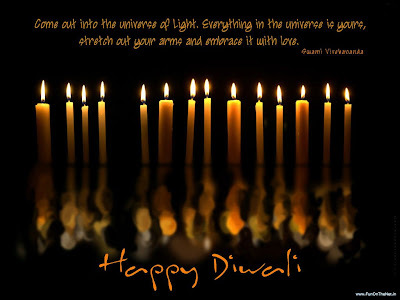 It heals our spirit to lead us onto the pathway of happiness, health, long life and prosperity. An attitude for gratitude is a conscious decision that we have to make in order to recognize the blessings that already existed everywhere in our life. When we continually focus on all the blessings we have received, it will expand our positive thoughts while our appreciation increases our positive feelings. 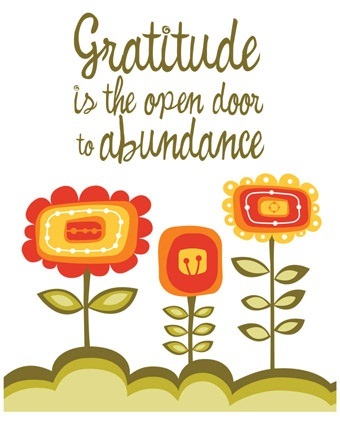 With this in mind, the more thankful we are the more things that we will be grateful for are attracted into our life. That’s the power of gratitude. Still fresh in my mind after writing about visualization in my note of awareness last week, I was prompted to review my personal vision board one more time. 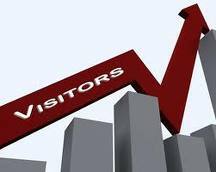 I must say that I am extremely delighted and appreciative with the progress I have made so far. 1. I am grateful that I am now blogging full-time. 2. I am grateful to have found both my inner peace and the peace with my surroundings. 3. I am grateful that I have adopted a healthy lifestyle. 4. I am grateful that I wine and dine in moderation and I can do it at my whims. 5. I am grateful for the travels I have been enjoying and more travel plans that are in progress. 6. I am grateful to have friends who have been keeping me uplifted and motivated. 7. I am grateful that the construction of our new humble abode is progressing smoothly. 8. I am grateful that the issues of finances have stopped clouding my mind. One of the biggest misconceptions about the law of attraction is that it only requires you to put images of what you want in your mind, sit back and just wait for it to happen to you. I’d call this wishful thinking. The law of attraction is not a lazy proposition to you. It is delusional to think that your visualization alone can get you what you want without any action. Although visualization plays a key role in this universal law, it is not without the need for follow-up actions to support your desired outcome. Without going through the motion, you are practically telling the Universe that whatever you are visualizing are not important to you. You can achieve all the great things you want in life but in order to do so you will need to plan your actions and roll them out in order to override your preconditioned habits that have not been doing you any good this far. Your action plan is your inspired process to take as many proactive steps necessary towards achieving your visions while integrating your positive thoughts and feelings into it. 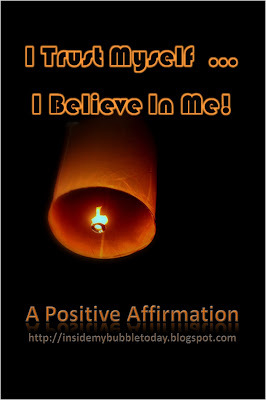 Through your improving positive mental attitude and with some help from your subconscious thoughts that have been laying in wait for you all these years, you will somehow know by yourself what actions to take and when. Obviously if you have come to this final step of manifesting your destiny, you are no novice as to what you need to do. You know an action plan will put you in the driver seat towards your destination, help you to battle procrastination and provide you the balance scorecard that will keep you forging forward. The more you plan your action to manifest successfully, the stronger is your message to the Universe about the importance of your desires to you. 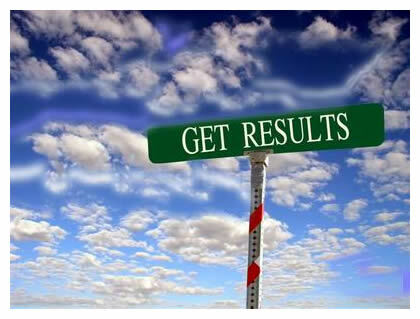 So have you got your action plan to succeed yet? Here’s a simple tip to get you on your way with your law of attraction action plan. 1. Work on your action plan during your private time when you can relax and concentrate on your visualization uninterrupted. 2. Make notes of the ideas that are developing in your mind as to how you will achieve your visions. 3. Initial ideas may not be forthcoming with ease and may also be erratic but get them listed down just the same. 4. Remember you do not need to fuss with the details as they can be reviewed and fine-tuned later. 5. Review your notes over and over as more details developed to build a clearer focus and new ideas popped to mind to keep you motivated. This is the last step towards manifesting your destiny. A law of attraction action plan will help you stay focused and motivated as you take proactive steps towards achieving your visions. 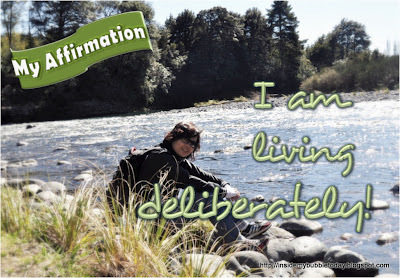 This is your part in the deliberate creation process that will change your life in the direction of your choice. The law of attraction works with you the moment you put to motion your action plan. You have your vision board and your mind movie ready. Have you prepared your action plan? The law of attraction is not a lazy proposition to you. It is delusional to think that your visualization alone can get you what you want without any action. You can achieve all the great things you want but in order to do so you have to plan your actions and roll them out in order to override your preconditioned habits that have not been doing you any good this far. This the last step towards manifesting your destiny. An action plan … a plan that means taking proactive steps to achieve your visions. Having come thus far, you will actually know by yourself what action you need to take and when. This is your part towards deliberate creation. Our food adventure while vacationing in New Zealand ... eat drink and accumulating 2kg worth of weight!!! The Australian Poetry Competition had come down to two finalists, a university graduate and an old aboriginal. They were given a word, then allowed two minutes to study the word and come up with a poem that contained the word. The word they were given was TIMBUKTU. The crowd went crazy! No way could the old aborigin top that they thought. 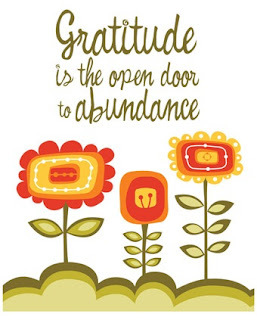 One of the most special human quality that has a great impact on our life is the realization of the power of gratitude. Simply said, it is the ability to appreciate whatever we receive and give thanks. It is amazingly simple and easy with consistent practice and it is a positive action that will gradually change a person's life. With gratitude, it opens up our ability to attract more of what we want, because we appreciate what we already have in our life. Our awareness of the wonderful things that happened in our life will only become greater and more powerful and enable us to continue with the receiving. 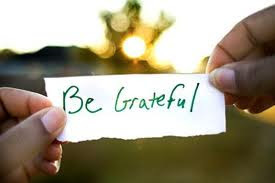 It is practically impossible to be negative when we are grateful. As the week zoomed by so fast, it is now time again to reflect on the variety of happening that has filled my past few days. 1. I am grateful to have met up with an old friend and for the 2 wonderful days we spent together catching up the past 10 years. 2. I am grateful for the opportunity to attend a business symposium that expanded my insight into areas that I've never been privileged to learn before. 3. I am grateful to have made a new friend while attending the symposium. 4. I am grateful for the continuous flow of assignments that have been keeping me occupied. 5. I am simply thankful that everything is well, right here, right now! Feeling pretty good about his first firing, the CEO looks around the room and asks, "Does anyone want to tell me what that goof-off did here?" With a sheepish grin, one of the other workers mutters, "Pizza delivery guy from Domino's." Sometimes I feel a little lost as to what I should write about my gratitude for the week. There are so many things that I should and I am grateful for. However my apprehensiveness to pen them down do not stemmed from a loss of gratitude but more so because they may be a tad too trivial to repeat like a broken record. But on second thought, that's what gratitude is all about. It is mostly about the little things that present themselves in our daily life as we go about pursuing our life's plan. The sky, the sun, the moon, the weather, the trees, the flowers and not forgetting the people who touched our life everyday ... they are worth our while to be glad. Why wait for one bad thing to happen in order to appreciate all the good things that are already in our presence? 2. I am grateful for my family and friends. 3. I am grateful that my health is under control. 5. I am grateful to be living in a great neighborhood. 6. I am grateful for my talent at writing. 7. I am grateful for the opportunities that came my way. 8. I am grateful for the positive people who touched my life. 9. I am grateful that my life plan is moving smoothly. 10. I am grateful for just being ME and I'd better stop at 10 before the list gets any longer! It has been years ago since I was just a young teen. It was then when I first heard an inspiring remark from my late mother that still continue to linger in my mind today. Back then I did not have any inkling at all about the law of attraction and I don’t think my late mom, God rest her soul, would have any idea about it either. From her personal observation, she had concluded that people who give generously tend to be growing wealthier. From my standpoint today, I realized she was already advocating one of the fundamentals of the law of attraction. She had struggled to raise 5 kids without much help from an alcoholic husband. However, her strong desire and determination to see each and every one of us succeed in life had given us a great head-start for our achievements today. Thanks to mom, all of us are living a comfortable life today. Learning the art of giving generously is one of the important components of the law of attraction in order to attract the likes back to you. It is about cultivating the feel good vibrations from your habits of giving that spark your positive thoughts to generate positive results. Many people have claimed that the law of attraction do not seemed to work for them and of course, it can’t because regretfully, many do not have the habit of giving first. Just like if you want to attract love, then you just have to give out more love. After all, giving your love does not cost you anything in the first place. Likewise, if you want money then the next right thing would be to give out money. But the tricky part is that not everyone has the money to give out. This however should not be a stumbling block for you to give in any way. 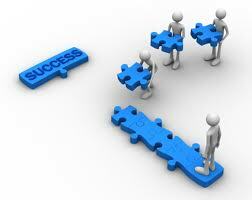 You can always help others to earn more money, learn new opportunities or manage their personal finances efficiently. Do not be mistaken that giving out money has to be in monetary form all the time. Sharing your knowledge generously to others is the stepping stone for more ideas and opportunities to be attracted to you that will become your wealth eventually. If you maintain this sharing spirit constantly, then you’d better be ready to receive the same into your life. Give because of the joy that reaches deep inside you. When you have adopted a habit of giving freely and generously, your positive energy becomes aligned in harmony with the Universe. You are offering up to the Universe that “I have more than enough to give!” The law of attraction does not pick and chose what it wants to be delivered to you. It just follows your energized thoughts irrespectively. After Lake Tarawera, we had drove on to Taupo which is located right on the edge of Lake Taupo. Yup! Another lakeside town but we never stopped being mesmerized by the scenic views everywhere, whether on the mountains or by the lake ... they are just plenty of awesomeness! It is already the 3rd day we're travelling around in a campervan and we reach the All Seasons Holiday Park in Taupo at about 8.30pm with our fingers crossed. It was already dark and were unsure if they still accept any late check-ins. Lucky for us the receptionist was just about to leave when we knock at the office. So it was then, a night in Taupo ... another night by the largest lake in New Zealand! The next day we explored the sights around Taupo. First thing, we checked out the what-haves around this town before moving on Huka Falls, the largest falls on the Waikota River in North Island. In fact I read, it is the most visited natural attraction in New Zealand. We walked and enjoyed the spectacular sights of the powerful rapids from the several viewing platforms along the riverside. We also caught sight of some extreme sports adventurers trying out the Huka Jet Boat on the rapids. Next, we checked out the liquid gold haven of Huka Honey Hive. There were so many types of honey available from the famous Manuka Honey to others that I don't even know it ever existed like Rewarewa Honey from the honeysuckle tree, Pohutukawa Honey from the native New Zealand Christmas tree or Blue Borage collected from the South Island. There were also gourmet honey, honey wine as well as skincare and bodycare products made from honey. Since we already there, lo kong was not about to leave without getting some of those precious liquid gold home. As for me, there's no stopping at trying out their signature coffee 'Buzzer', a flatwhite served with manuka honey and a chocolate square hiding at the bottom. Sugar control was out the door that day when I also tried their assorted fudges and oooooo ... their yummy sweet Macadamia Brittle! Soon we were on the road again on State Highway 5 heading towards the seaside city of Napier. On the way, while lo kong took a short stop to answer nature's call, I chanced upon the Opepe Historic and Scenic Reserve. Apart from its nature trails, there is a tiny cemetery marking the history where nine members of the Bay of Plenty Calvary were killed in a surprise attack by a Maori Chief, Te Kooti. Driving further on, we came to another awesome wonder of Mother Nature ... the Waipunga Falls. Thankfully there was a lookout point for us to stop and enjoy the fantastic view. We finally arrived into Napier quite early that day. The temperature was colder here and being by the sea, the strong winds just made it even colder. No choice, we braved it and had a walkabout the city. We also did some shopping where lo kong finally got the backpack that he had been searching for since Auckland. It was a spring sale bargain. We also got a thermal wear each for the price of one. At first it was The Hungry Hog in Subang Jaya, then it was The Pork & Whistle in Rotorua. This time we had a fantastic dinner at The Hog's Breath Cafe. However, we were still on the lookout for their popular fish and chips. As we were on our way to the Westshore Holiday Park for the night, we took note of a seafood eatery nearby. Naturally, we will not be leaving this city without checking out this place for some seafood chomping. We had two types of fish and chips here and left with some other seafood takeways too ... after all we can cook in our campervan. We love the town very much but then again we could only afford a night there as we had to move on to Havelock North for lo kong's half-marathon ... not before lo kong provided a cliffhanger. He has lost his wedding band! Anyway, all is well as he found it back at the camper site. One remarked to the other, "Windy, ain't it?" And the third man chimed in, "So am I. Let's have a coke." It’s amazing how one simple, easy, positive action can change so much in a person’s life. The power of gratitude. 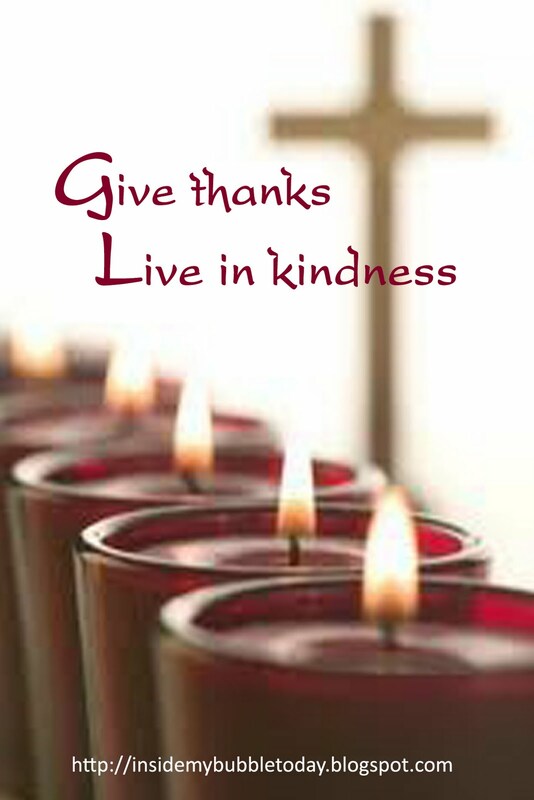 Yes, just by simply giving thanks. I am grateful for all the experience in my life. I am grateful for all the opportunities that came to my doorstep. I am grateful for all the people who entered my life. I am grateful that I can feel the gratitude for all that's happened throughout my life. I am grateful because I am capable of being grateful. 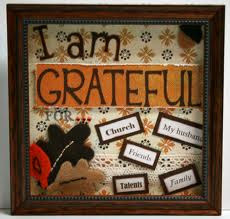 I am grateful for being grateful ... does that quite make sense??? “You simply will not be the same person two months from now after consciously giving thanks each day for the abundance that exists in your life.